MOLLE Single Rifle Ammo Pouch from Odin Tactical, in genuine Crye Precision Multicam. 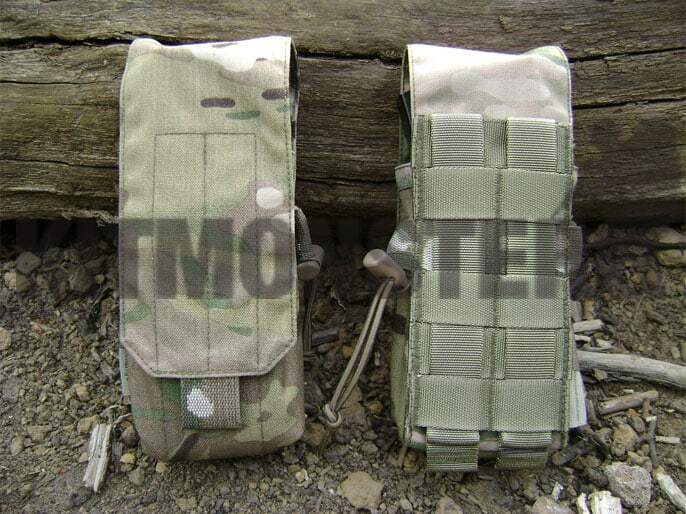 Ultra light modular pouch suitable for use with most MOLLE type systems. Single compartment pouch taking 2x 30 round 5.56mm magazines, or 1x 30 round AK type magazine. Velcro closed full flap with pull tab. Flap can be folded behind mags for swifter reloads. 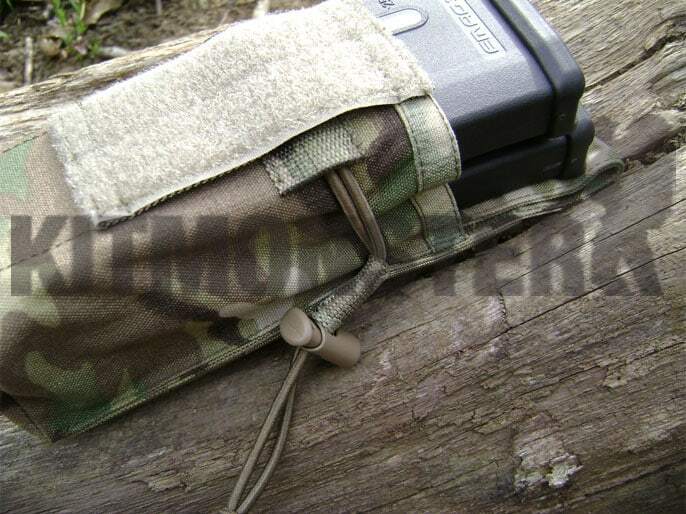 Elastic shock cord around the pouch eliminates rattle and reduces the pouch for single mag carry. 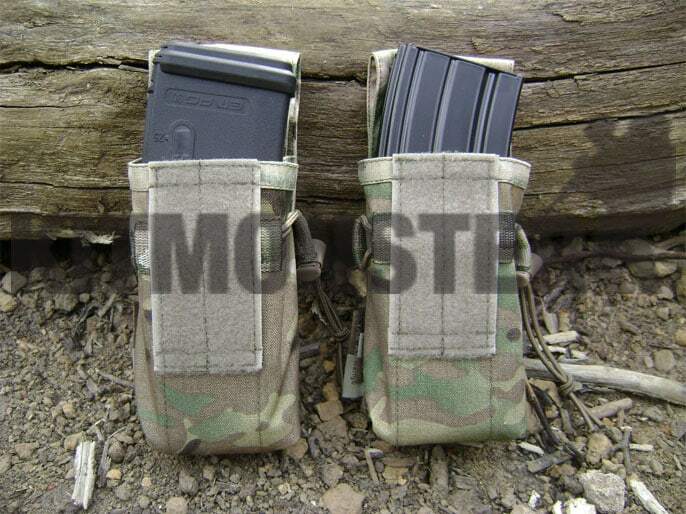 These pouches easily accept HK 416 and SA80A2 mags. Multiple views shown single empty pouch supplied, L85A2 steel and E magazines shown for illustration only, none of these are included.